"Your training methods really work for me and I also love the detailed instructions you wrote." We at Geeks On-site specialize in computer repair service in Potomac, MD. We also offer commercial computer repair and residential computer repair services. Please call us to get a FREE PHONE CONSULTATION and ESTIMATE. You can reach us locally at (877) 433-5766. Our computers are an extremely important aspect of our daily lives. We use computers for work, communication, information storage and leisure activities, and as a result, much of our lives are tied to them. That's why if they break or fail to work properly, it can set us back in more ways than one. At Geeks On-Site, we understand how much you need your computer, which is why we are dedicated to providing the best possible Potomac, Maryland, computer repair service to all local residents. Instead of filling out an online request form, or being put on hold for what feels like hours, just call us directly. We offer a free over-the-phone consultation, estimate and we'll even attempt to diagnose the problem then and there. Then, we send our expert computer technicians straight to your Potomac office or home, for in-person service. We offer same-day, next-day and even emergency computer repair, and are open seven days a week from 8 a.m. to 10 p.m.
We at Geeks On-Site offer all types of computer repair services. Our professional repairmen are trained with both Windows and Macintosh software, as well as many types of hardware. We offer hardware repair and replacement, software troubleshooting, virus removal, data backup and recovery, network configuration, computer security and computer training sessions for individuals and groups. Geeks On-Site is a local computer repair company that services Maryland's Montgomery County, including Potomac, Rockville, Bethesda, Kensington and Gaithersberg. 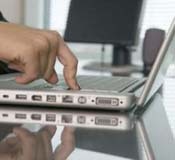 We also provide computer repair to residents of metro Washington, D.C. and several nearby counties in Virginia. Geeks On-site offers the absolute best Potomac MD computer repair service in Potomac Maryland. We also offer residential computer repair and commercial computer repair services.